Able to get appt quickly. Doc listened to my concerned and plan of care was in line with what I hadhoped! Able to get appt quickly. Doc listened to my concerned and plan of care was in line with what I had hoped! She listened to me! I feel like she really heard the struggle of the last 9 years of my life. Ifeel optimistic that she can help me. She listened to me! I feel like she really heard the struggle of the last 9 years of my life. I feel optimistic that she can help me. 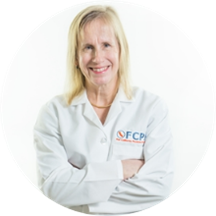 Skilled with the intricacies of internal medicine and primary care, Dr. Gretchen E. Winter looks after the people of Atascadero, CA, where she caters to the sick at FCPP Family Health Atascadero. She has a comprehensive approach to patient care and carefully considers all aspects of her patient’s health in the interest of properly diagnosing and treating them. Dr. Winter earned her bachelor's degree from Pennsylvania State University and her Ph.D. in chemistry from the University of California, Santa Barbara. She also attended the Western University of Health Sciences, College of Osteopathic Medicine of the Pacific, where she received her medical degree. In addition to pursuing her clinical career, she has authored several articles on varying topics in her field of specialization. A knowledgeable provider, Dr. Winter is certified by the American Osteopathic Board of Internal Medicine and holds active memberships in the American Osteopathic Association, American College of Osteopathic Internists, and the West Virginia Osteopathic Medical Association. Her sound medical knowledge and passion towards her work are commendable and make her a valued asset at the practice. Academic Excellence Tribute to Caring Scholarship. Western University of Health Sciences, College of Osteopathic Medicine of the Pacific, Pomona, CA. August, 2006. Doctoral Scholars Fellowship. University of California, Santa Barbara, CA. August, 1990- August 1994. National Science Foundation Graduate Research Fellowships Honorable Mention. January, 1991. Winter, G.E.M; Butler, A. "Inactivation of Vanadium Bromoperoxidase: Formation of 2-Oxohistidine" (1996) Biochemistry 35:11805. Absolutely wonderful! Dr. Winters listened to every concern. Took her time! Which I find is rare now a days. Was happy to meet Dr. W. She made me feel very comfortable & took time regarding my issue. Dr. Winter was great! She listened and came up with a workable, reasonable solution. She did not make me feel that my condition was unimportant. I was treated with respect. Dr. Winter was excellent. She was very attentive, and answered all questions. It was a very thourough and pleasant visit. The doctor addressed all my concerns with compassion and professionalism.